Special feature: Courtesy of fellow S-Pulse supporter and J. 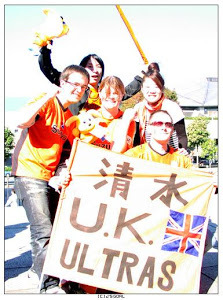 League follower Mike Tuckerman, we present an interview with a Japanese S-Pulse fan. In an interview fully in English, Shimizu-born Yuichi Korenaga discusses S-Pulse's current season and football in Japan in general. Full interview can be found here. Probably one of the better pictures I've managed at the 'Daira! A classic Saturday afternoon down the 'Daira. Sunshine, beers, mates, goals, a clean sheet, a near-full house. There are certain days where it all just seems to fall into place, and as I left my flat at 11am and saw the clear blue sky overhead, I had a feeling things were going to go our way. For those who read anything into past records, Kawasaki, who have never won at Nihondaira, were always going to be fighting fate. 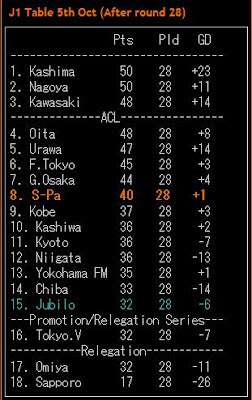 As it turned out, their poor record under Fuji's shadow continues, and with it, their title challenge takes a huge knock. With it being as open as it is, they're no means out of the race, but dropping points as both Kashima and Oita won again leaves them with a lot to do to get back into it. The first S-Pulse goal was a lovely worked piece of play, and it had goal written all over it from the outset. It came on 24 minutes and Edamura, after the cross was headed back across goal, was there to slam it home under the Frontale keeper. Frontale's undeniable ability up front was, for the most part, well neutralised, although a couple of occasions saw them go close. Our second goal came from one of our 11 corners and it was man of the moment Kazuki Hara who put it home. After a poor clearance attempt the ball fell to his feet and he calmly put into the net in front of the two tiered bank which was full to bursting. The poor lad lost his mother earlier in the month, but he's been one of our several break-though players this season, and another goal was no more than he deserved. The after-match party was as good as ever, and as we had a do pre-arranged back near the station, we rushed off to that with the win just adding more reason to get happily battered. And get happily battered we did. Next up, outside title hopefuls Gamba Osaka. 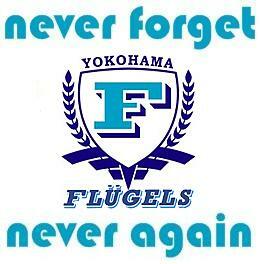 They have a game midweek they simply have to win, away to Urawa in the semi-final of the Asian Champions League. Fingers crossed they'll be shattered from that, and we can continue our great run. Last year's Gamba fixture was one of the games of the season, so a repeat of the 3-1 scoreline would be just great, thank you! Time to go, but thank you S-Pulse - you made my birthday celebrations all the more brilliant! Enough from me, time for the highlights! And here, taken on my camera, is Oja no Hata, our victory song, and which, after four years, I'm embarrassed to say I'm still learning the words to! It's now pushing a month since the last home game down at the 'Daira, and personally speaking, I can't bloody wait to settle down in the sunshine tomorrow with a six pack! Now the humid hell of the Shizuoka summer is behind us, tomorrow is set to be a balmy 23 degrees in a breezy Suruga Bay. With the hottest months now behind us, it's back to the earlier kicks offs, and a 3pm start on a Saturday will feel just like being back in the UK! It's probably a combination of the good forecast, S-Pulse's better form of late (four wins from five - only defeated away at Kashima), and the fact Kawasaki are in with a decent shout of the title that tomorrow won't be far off last season's near-capacity crowd of 19k. It's a measure of how open this season is that even a team with a real shot at the championship have only won twice in their last five games. Many people's tips at the start of the season, Frontale have come through a couple of dodgy patches and are still up there, so good luck to them. I'm expecting a big travelling following tomorrow. There's a maximum of 18 points to play for, and it's still amazingly tight at the top. Out of the five (and at a stretch, seven!) teams in with a shout, first time champions would be Oita, Kawasaki or Nagoya. Since the turn of the century there's been five different winners of the league (six if any first-timers prevail this year), six different winners of the Emperor's Cup, and, after the final next month, seven different winners of the Nabisco Cup. I should also mention that the only teams to have won the league twice this millennium are now both fighting for their J1 lives! 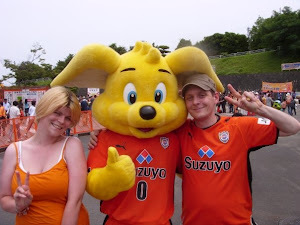 Japanese football is incredibly open, and it's one of the reasons I am so consistently enthralled by it. With the prospect of title glory, Kawasaki will be coming to Shimizu with nothing less than all three points in their sights, but with S-Pulse fresh off the back of a 5-1 demolition job of (outside) title hopefuls FC Tokyo, it should be a hell of an encounter. Okazaki and Kazumichi will be back from their national team exploits, and I can't see much being changed from the team that took Tokyo to school. Welcome to the Mt. Fuji Shizuoka Airport Stadium! That could be the announcement you'll be hearing over the PA system at Nihondaira from next March! As was announced on October 9th, S-Pulse are now accepting bids to give one lucky company the right to rename Nihondaira Stadium it it's own image. If you happen to have a spare 90 million yen laying around, then get your offers in! Any deal is expected to run a minimum of four years, and will start from the 2009 season. Name Nihondaria - For just 90 000 000 yen! Debate is now raging over on the various Japanese language message boards over what a cool sponsor would be. Personally, anything with Shizuoka in the title (such as the soon to open Mt. Fuji Shizuoka Airport) would do the job for me, with a shortened version of The Shizu-sta rolling nicely off the tongue. One user on Mixi suggested the Chibi Maruko Chan Stadium after our local anime character, and I've got to admit it does have a certain charm! Well, one thing will remain the same regardless of what name is finally chosen (ie: whoever pays us the most), Nihondaira will always be known as simply that: Nihondaira Stadium. Our home since 1992 and one of the best places in the country to watch football. In other news: Kazumichi and Okazaki both featured in Japan's friendly against the UAE yesterday. The game finished 1-1. Okazaki played most the match, being taken off on 82 minutes, and Kazumichi started at half time and played to the end. All eyes are now on Wednesday 15th (by which time I will be 30!) for Japan's World Cup qualfier againt Uzbekistan. Japan have to be looking for a result at home against the Uzbeks. A look at the group table shows not much else as an option. Well, good luck to Japan and inparticular to our boys flying the flag for S-Pulse! Demolition. Annihilation. Beating. Whipping. Destruction. Mauling. Thrashing. 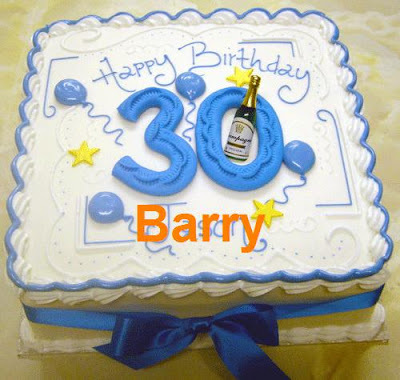 Me and Fuz were both at the 2-0 away defeat last season, and so yesterday's result is an especially sweet one. Despite us both being in Tokyo at 3pm on Saturday, we were en route to Saitama to catch Radiohead, and so missed our best away result of the season. Much like S-Pulse, Radiohead played a blinder. They rocked out a stonking set to a full house, though the majority of which bizarrely stood in static silence for each song. I've never been given evil stares at a gig for singing along before! It was like being at the cinema. Very, very odd crowd. Anyway, back to the football! Yesterday's goal-fest makes a season aggregate in all competitions of 10-2 against FC Tokyo, and barring an end of season collapse of Urawa-sized proportions, should secure our J1 status for next year. All five goals came from different players starting with another long range blast from Yamamoto. This was followed by another corner strike by Iwashita, and then Hara made it three just before the break. Tokyo came out swinging in the second half, and despite a total of 11 shots found the target only once. That was on the hour, but was never anything more than a consolation. Okazaki on 78 made it four, before Toda rounded off the rout with a goal in the last minute against his former club. I bet he enjoyed that one! It was a real shame we had plans elsewhere, as I'm sure the travelling thousands revelled in the 5-1 mauling of their hosts. I can only imagine the crowd in the Ajista knew how to enjoy itself more than the one at the Radiohead show! So here are the goals - enjoy! Check out Hara's control on the third goal - this lad is a real talent! !